Play Dolphin’s Pearl™ deluxe online for free now! 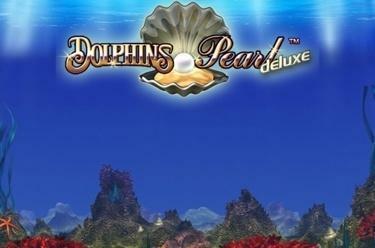 Play Dolphin’s Pearl™ deluxe free online! The iconic slot for water lovers and win hunters simply cannot be missing in our Casino! Explore a colourful underwater world in Dolphinʼs Pearl deluxe and you will be amazed at the treasures the vast ocean in this game has in store for you. Dolphins, Seahorses, Pearls and colourful Fish put on a spectacular show and create the perfect conditions for you to catch Twists galore. Playing has never been this much fun! The cherry on top of this incredible entertainment package is the beautifully crafted game design from Novoline. Dolphinʼs Pearl is one of the most popular virtual slot machines we have, and it’s a game that doesn’t need any confusing extras to put a smile on the face of our gamers. The fact that Dolphinʼs Pearl can be played free also contributes greatly to the slot machine's status as a crowd pleaser. We’ve created a summary of the most important info about Dolphinʼs Pearl online, including some useful tips, to make sure nothing stands between you and your gaming fun. 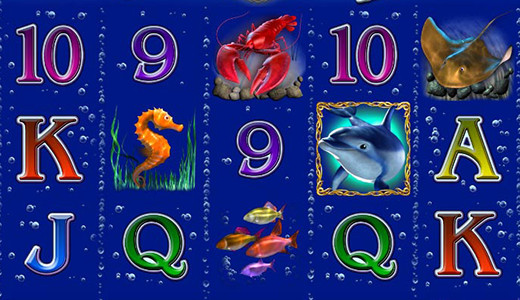 Your underwater world in Dolphin’s Pearl™ features five reels and ten win lines. Your aim is to land five matching symbols along one of the lines. The symbol combo has to match the winning pattern that always starts on the first reel on the left and runs across the reels to the right. The Dolphin (Joker) substitutes for all symbols except for the Scatter and can increase your winnings! Scatter symbols pay out if they appear at least twice, regardless of the line direction. There’s no messing around at this game when it comes to bonuses. Get three or more Scatter symbols (Clams) anywhere on the reels and you’ll trigger fifteen Free Games in Dolphinʼs Pearl. The Free Games are played with the stake of the triggering spin. All winnings are trebled during Free Games, and, with a little luck, you’ll win further Free Games with the help of the Clam! So, sit back, relax and, if luck is on your side, you’ll be showered with Twists! Big winnings? Possible in Dolphinʼs Pearl deluxe! The “Gamble” Feature from Novoline caters for plenty of extra thrills! It ups the excitement when playing because, with a little luck, you might double your round wins! After a round win you’ll see a flashing, orange button with the title “Gamble”. Once you have clicked it, you’ll see a concealed card and two fields: “Red” and “Black”. Select a colour with a mouse click and reveal the card. Guessed right? Congrats, your Twist win will be doubled! If not, you’ll return to the main game where you can play free if you have enough Twists. Hundreds of slots are still waiting for you! Countless table games and skill games are available in our Online Casino. However, our speciality is most definitely slots and game machines from producers including Novomatic! And, when it comes to water, we have a myriad of exciting Novoline games besides Dolphinʼs Pearl deluxe! In Columbus deluxe, for example, you set sail to follow in the footsteps of the great explorer. In the game Lord of the Ocean you meet the god of the sea, Poseidon, who reigns over the reels and takes centre stage of this slot machine! Or how about taking on the mantle of a genuine buccaneer? Then you should give our fun game Captain Venture a try and roam the Seven Seas as a fearless pirate! Moreover, there are countless further themes waiting for you, from iconic fruit slots (Sizzling Hot) to adventurous games for Egypt aficionados (Book of Ra online). There are plenty of games where you can play for a jackpot such as Fruits’n Sevens! How long until you discover your ultimate favourite slot in our Casino? Play Novomatic games on the go! Imagine there is a slot machine that is always available because your casino is open 24/7. Sounds too good to be true, right? Think again! GameTwist ranks among the best casinos not only because you can play your favourite games partially free, but also because the games are available on various devices like your computer, tablet and smartphone. There are opportunities aplenty for playing at GameTwist and betting with dedication. Just one question remains: which game will you pick? Are you always looking for the next challenge with great prospects for success and would you like to make an impression on other gamers at our slot machines? Then take part in one of our many leaderboard games or special promotions in our Casino. Huge Twist wins and outstanding adventures in top games like Dolphinʼs Pearl deluxe await you that will keep you on your toes time and time again. To stay up to date on our most important promotions, chances for the odd bonus and the arrival of new slots, please visit the homepage of our Online Casino! If you're always in the know about GameTwist you have better chances to grab Free Games and thus higher winnings! We are keeping our fingers crossed and hope that your next casino date with Lady Luck is a success!